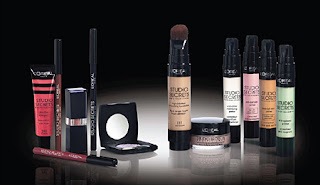 This week Linda Evangelista launches a new range of backstage essentials for Loreal. It is already up on the boots website and I must say I am really tempted by it. The packaging somewhat reminds me of make up forevers HD primers range which is nice, and the lip lacquers sounds rather attractive. Have any of you tried this? if so what do you think of it? when do they come out at the shops? wow it does look like Make up forevers hd primers! It'd be great if they came out with HIP in the UK!!! look (and sounds!) so much like MUFE! I wonder when this range will come to australis... thanks for the info!